Midwest Craft Con is coming up fast! If you haven’t already gotten your ticket, you can get a weekend pass or day pass right here until noon on Feb. 14, and then day passes will also be available on site. The con officially kicks off at 1 p.m. Friday and runs through 4 p.m. Sunday, but if you arrive early on Friday we’ve got a few activities you can enjoy, like this bus tour, or some yoga and a painting party! We have so many good things for you and your creative business. You can see the full conference schedule right here! There’s good stuff going on every single day. We’ve also got more details on our craft workshops and evening craftivities, which will include karaoke, a craft crawl and introvert hours. You’ll be able to meet and shop with many crafty businesses in our trade show, and many of our speakers are offering one-on-one meetings with Conners in sessions you can sign up for on site. None of this would be possible without the support of our fantastic sponsors from across Ohio and across the country! Phew! With so much going on, it pays to be prepared. We created this list of essentials to help you pack! The basics: Our program doubles as a place to take notes, but you might want to pack an extra notebook and pen. We also recommend that you bring a water bottle and snacks to get you through the day. Remember to wear comfortable shoes! Crafty things: During our evening craftivity time and in the introverts’ room we have plenty of space for you to work on your in-progress projects. We also won’t judge at all if you want to knit while you listen to talks! What to wear: Many crafters wear really spectacular outfits — often handmade! Wear whatever is comfortable for you, and feel free to be as crafty as you wanna be. Bring sequins for karaoke night if you want to sparkle! As for outerwear, the temperature in Columbus is likely to hover around freezing, so bundle up! If you’re a freezebaby, no worries — you never have to leave the hotel if you don’t want to. Extra cash: The hotel has a free breakfast for guests, and we’re covering lunch Saturday and Sunday, and then dinner is on your own. If you wanna go DIY, you can always bring Tupperware! There will also be opportunities to shop at our Trade Show all weekend. Save a few bucks for raffle tickets for some amazing gift baskets from our sponsors and community partners. And remember to tip housekeeping a few dollars each day! A smart device: You might not want to drag along your laptop, but we encourage you to bring a smartphone or tablet to access the internet and take pictures. Connecting with other conners directly by trading numbers or following each other on Instagram is easier than busting out business cards. And, of course, don’t forget your charger and backup power source! Personal items: This is YOUR weekend. Bring your must-have toiletries, maybe a yoga mat, a book for downtime, your bathing suit for the pool, or anything else you’ll need to make this your home away from home. What NOT to bring: Leave your stress at home! This weekend is about improving your business, reinvigorating your creative spirit and having some fun with fellow crafty folks! Make sure to take a look over our Code of Conduct, which is made to ensure everybody has a good time. 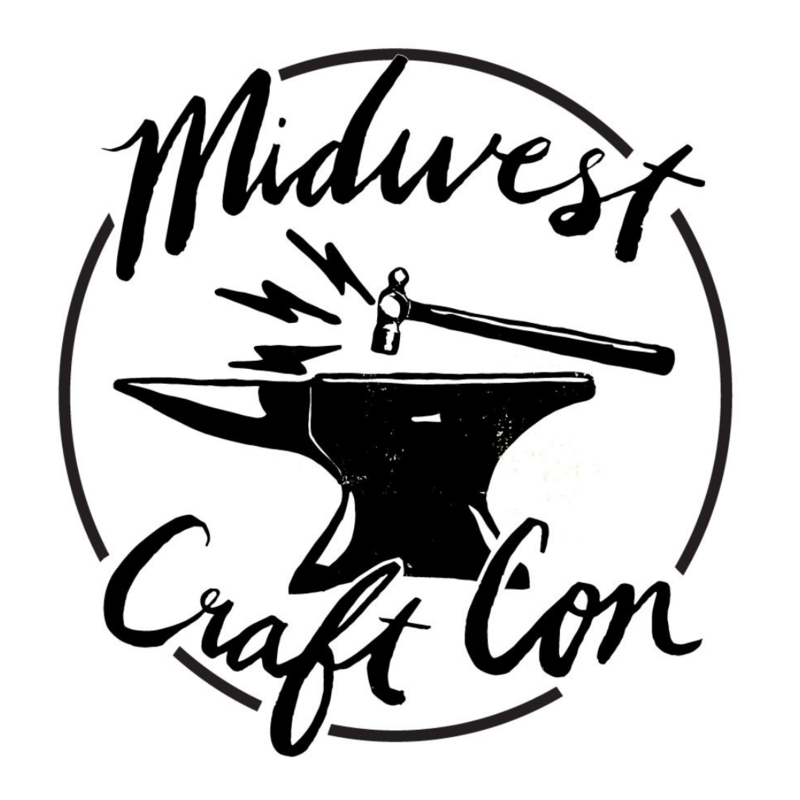 Get your ticket for Midwest Craft Con if you haven’t already, and we’ll see you at the con! Next Thank you for being you!